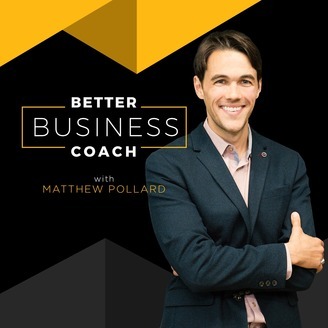 A business coach’s #1 source for critical sales training, proven business coaching education, and actionable coaching worksheets, all downloadable for immediate use with your clients. That’s right; you no longer can sit and wait for your neighbors to find you. If you don’t start making sure people know what you know, they will just go elsewhere. This session follows on from the last with Judy Robinett, where we talked about the importance of networking. In this session, we discuss how to map your network and start making it work for you. Social media, ecommerce and video conferencing has allowed each and every individual to connect with more people and do business outside local boundaries. For people that go into this brave new world prepared, it is an opportunity like no other. For those that treat business and networking the same way as the past, it will leave them sorely surprised. The days where opening a shop on the corner guarantees you trade are gone. No more does being the only accountant in town mean you will get the business of everyone around you. Judy suggests that there is an unwritten rule to the success you can achieve, and that is, “Your network equals your net worth.” It is possible to be successful in business on your own, but it is a lot easier if you have the help of others. If your whole network is a few family and friends, you’re going to hit a wall. You have to have relationships with people that can help you. On average, most people know 632 people, yet they infrequently think about how to leverage these people to help themselves or the people around them. Judy suggests that when it comes to networking, not utilizing the network you already have is the most frequent mistake a person makes. To rectify this, she suggests you write down a list of one-hundred people you know. By doing this you will soon start to see obvious connections you could make, introductions that could help others, and holes you need to fill. Judy suggests that many people complain that they have not achieved success yet because they’re just missing one introduction, one endorsement, or one piece of publicity. On completing the mapping exercise, she suggests that more often than not the person realizes that they actually have known someone all along that could introduce them to the person they have desired for so long. Who else do you know I should speak to? Letting a person know where you are struggling strengthens your connection with them and you will find, more often than not, they will go to the ends of the earth to help. In life, you have to have friends that propel you forward and leave behind the ones that tell you that you can’t do it. Otherwise, one day when things are tough, you just might believe them. Judy Robinett is the author of How to Be a Power Connector. Robinett is a business thought leader profiled in Forbes, Huffington Post, and Bloomberg as a super connector who uses her 30 year entrepreneurial experience and connections to accelerate growth and enhance profitability of public and private businesses. How can I find out more about Judy Robinett? 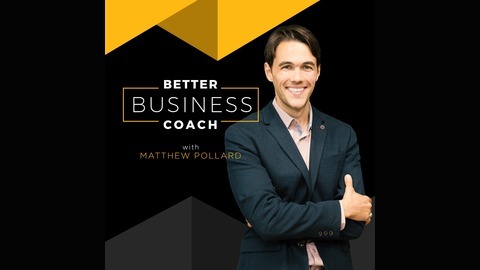 The post How to Make Networking Work for You (2 of 2) appeared first on Finding A Business Niche & Creating A Sales System - MatthewPollard.Com.